Last week I was exhausted, I completely forgot to call my wedding coordinator to finalize our date, was so angry at W I didn't speak to him for 2 days (for what I am really not sure), cried three times for no reason, slept maybe five hours the whole week, I could literally feel my irritability, and didn't seem to check anything off my to do list. 1. I saw the above awesome graphic from our sister Chapter in Northern California. 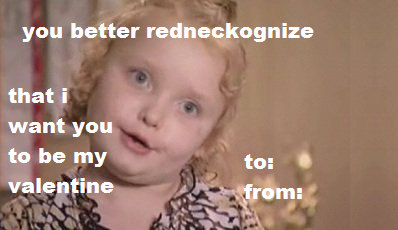 I literally stopped and laughed out loud. LK, you are STRESSED! 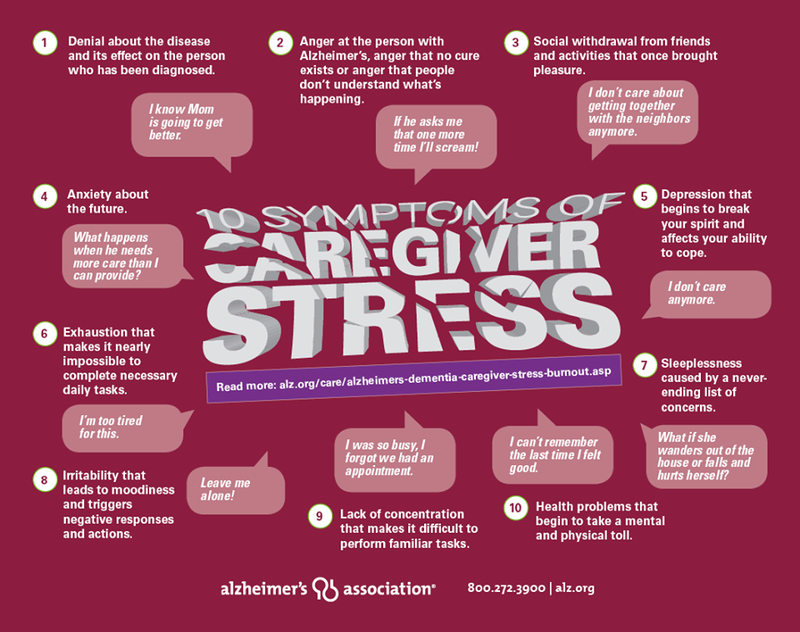 I could check off nearly every one of the symptoms of caregiver stress, but because I was so immersed in my bubble of stress - I couldn't recognize what was happening to my brain. It dawned on me that maybe our semantics around "caregiver stress" are wrong. What if you don't self-identify as a caregiver? So many people come up to us at various events as say, "It wasn't until many years later that I realized I was a caregiver. I didn't know to reach out for help, because I didn't think of myself as a caregiver." Does recognizing you are stressed out solve your problems? NO WAY! Does recognizing your stress help you cope with everything that is going on in life? YOU BETCHA! Friday afternoon I was able to take a deep breath, clear my head of all of the gunk that was feeding my stressed out brain and tackle the things I could control and release the things that I couldn't. So don't miss the message just because you don't think you are a caregiver. Sweetheart Luncheons: The Charleston and Parkersburg Early-Stage Alzheimer's groups are hosting Sweetheart Luncheons on Tuesday. This is a great opportunity to get connected to this supportive group of people! For more information call, 800.272.3900. Advocacy Days: Add your VOICE! We need your help, we have two advocacy days left: February 5 and February 18! Click here to RSVP! Employment Opportunity: We are adding two new positions to our staff, click here for more information. Looking for our next Community Workshop? Click here! Regional OHFLAC Dementia Training: We will host Alzheimer's Disease: The Basics of Best Care in Morgantown and Charleston. This training meets the OHFLAC 2-hour dementia training regulation for long-term care facilities. For more information call, 800.272.3900 or email wvinfo@alz.org. A friend that we tailgate with makes these delicious little devils every game-day weekend. So when a package of venison tenderloin tumbled out of W's over-stuffed freezer and landed, painfully, on my foot on Sunday - it was like a sign from heaven. You can sub in beef (stew or stir fry cut) if you don't have venison on hand. The venison is cut into "jerky" strips (processor word not mine!). 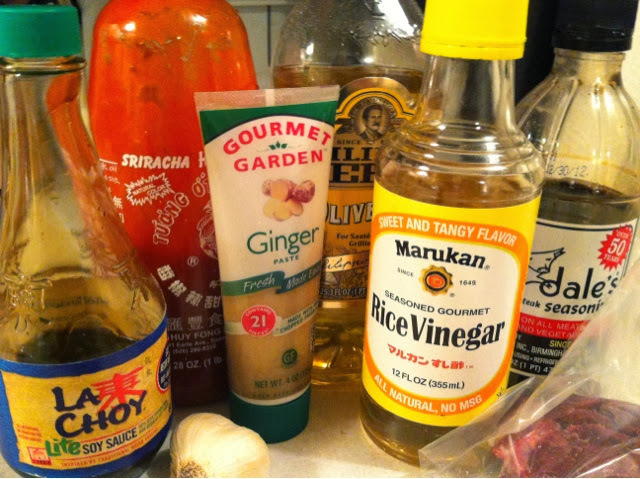 The key to this recipe is the marinade. If you have time to marinate overnight, that is best - but if not 2 hours at least. Place the meat and the above ingredients into a gallon size bag, then place in the fridge over night. Soak toothpicks in water. Cut your bacon in half. 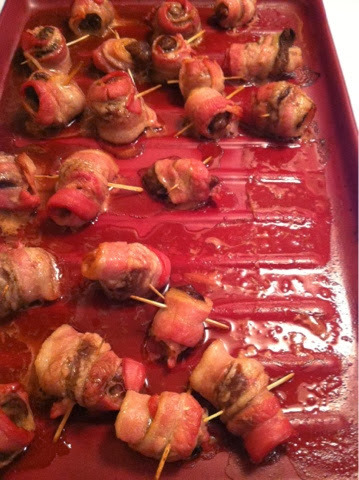 To prepare: roll a strip of tenderloin into a ball (like a fruit roll up), take a piece of bacon and wrap around the tenderloin, then poke a toothpick through to hold. Bake at 450 for 10-15 minutes or until cooked all the way through and the bacon is crispy. You can also prepare in a hot skillet, but it gets a little smokey - which is not idea for friends coming over to watch the big game.